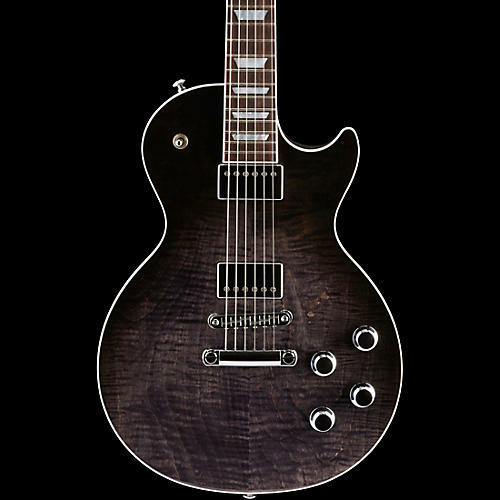 The special limited availability Gibson Les Paul HP II (that "HP" stands for High Performance) offers the next generation in versatility, aimed at guitarists with exacting taste in sound and playability. Performance oriented features, from the soloist-width neck to the adjustable titanium nut ensure fast, sure, in-tune fretting. The innovative electronics, featuring push/pull tone pots and internal DIP switches that adjust the voicing and function Rhythm Pro and Lead Pro+ humbuckers, ensure that players can dial in exactly the tone that will speak with their voice.